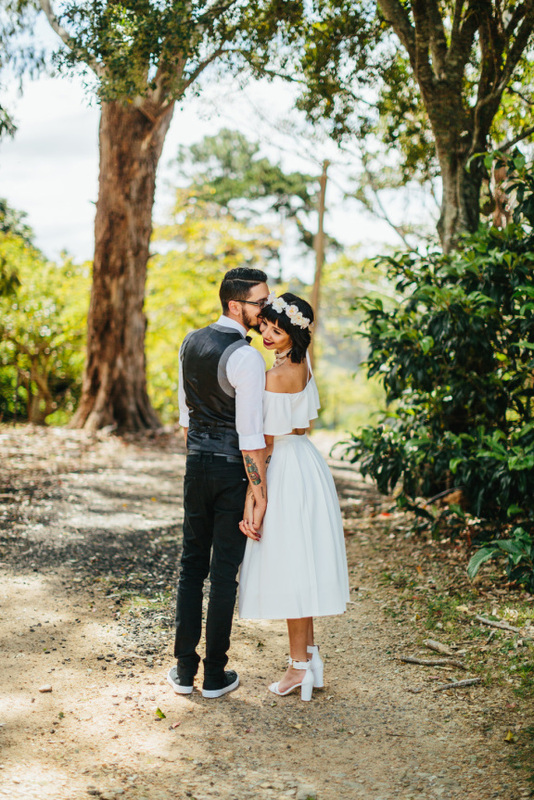 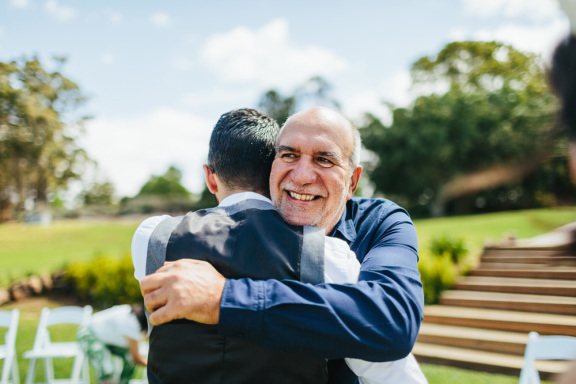 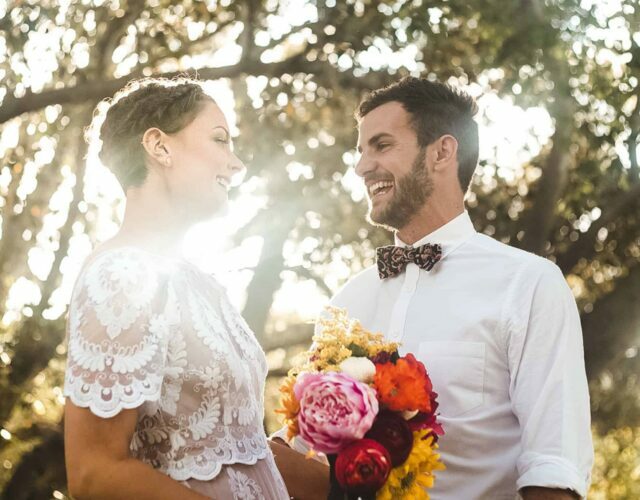 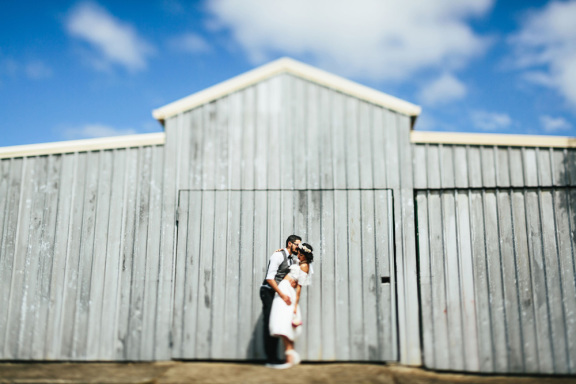 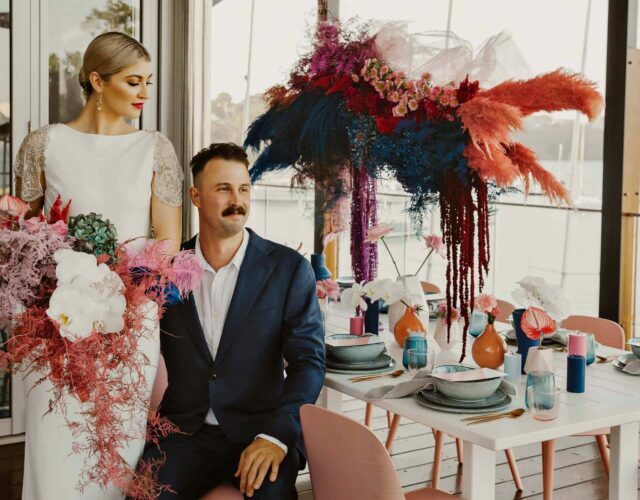 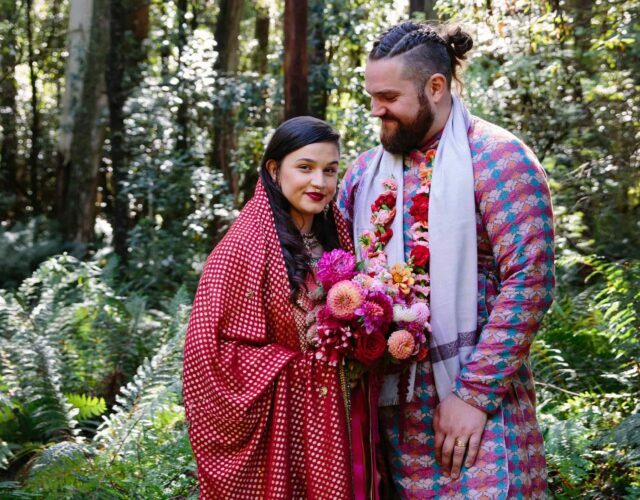 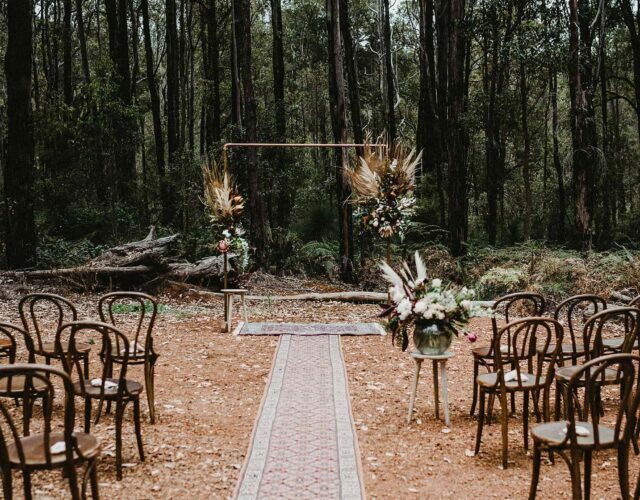 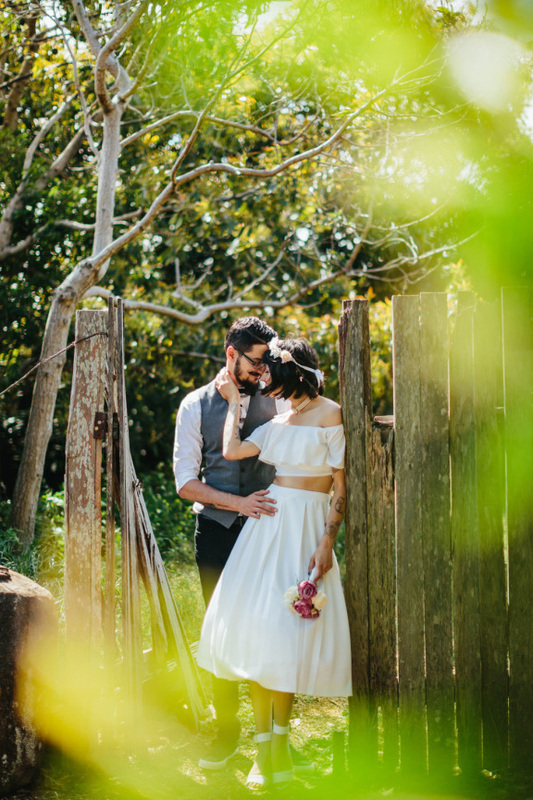 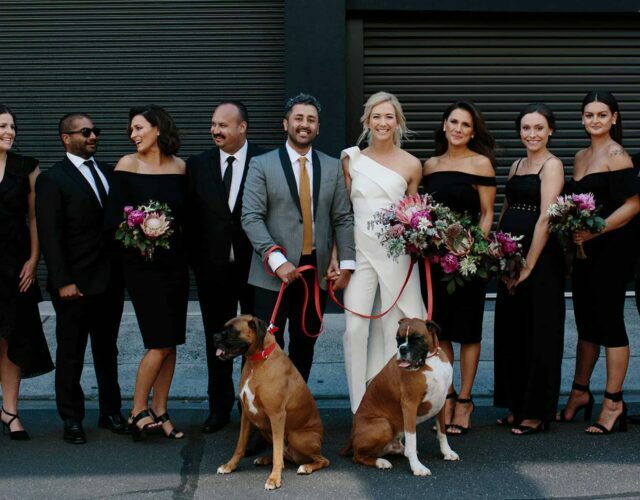 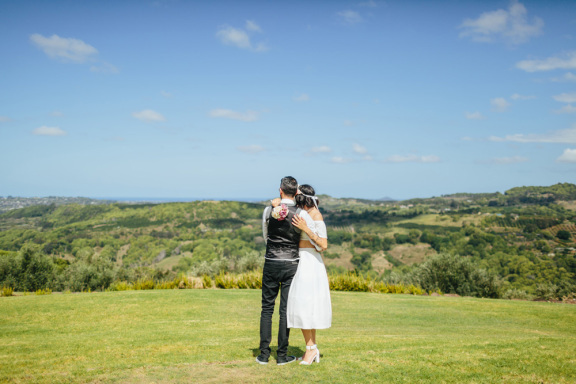 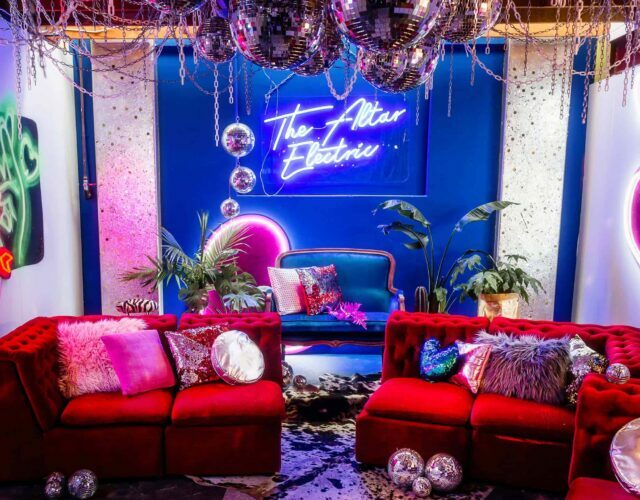 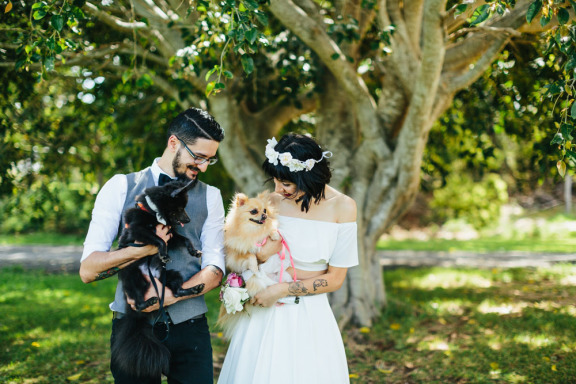 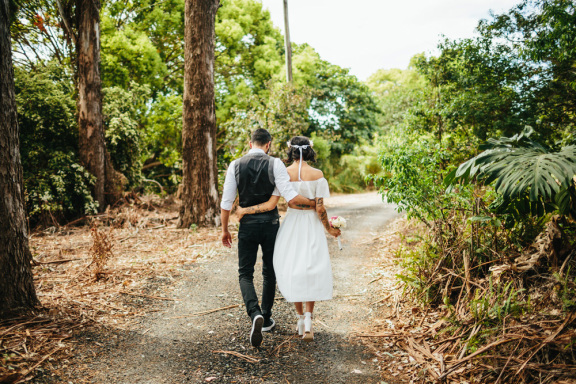 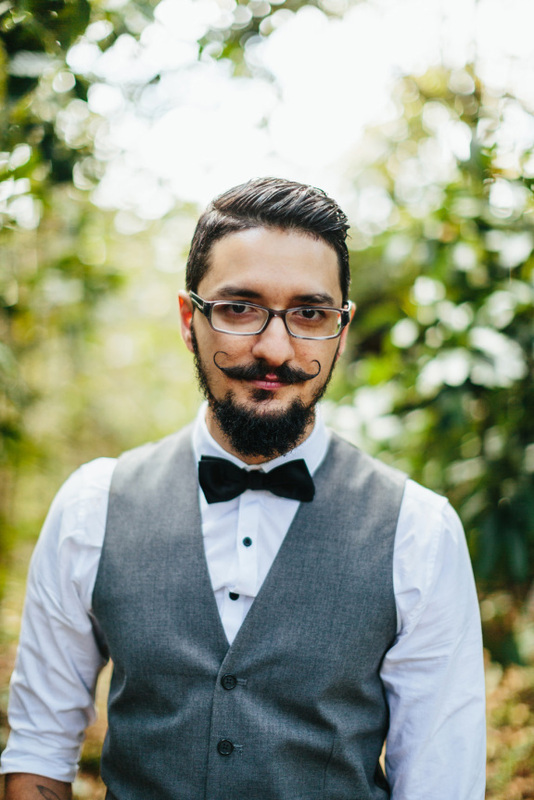 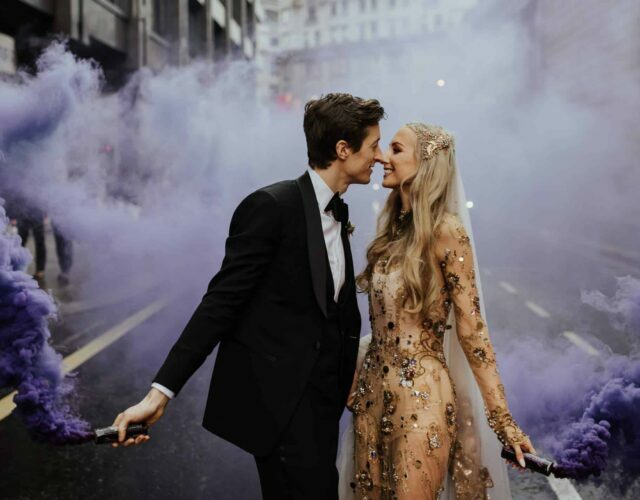 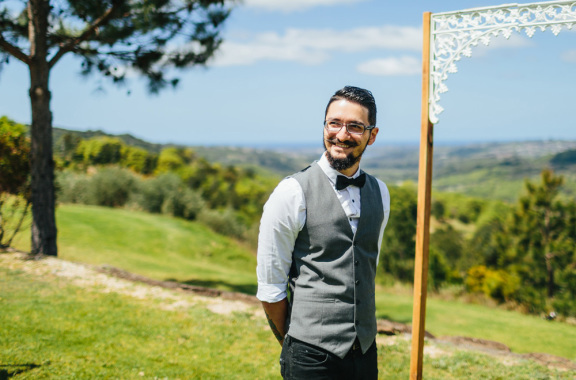 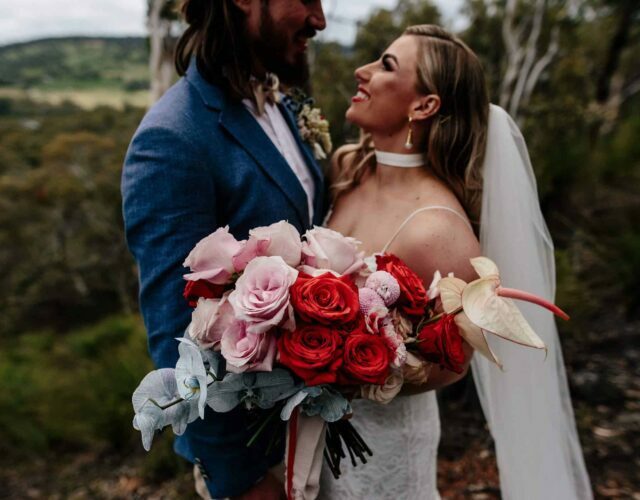 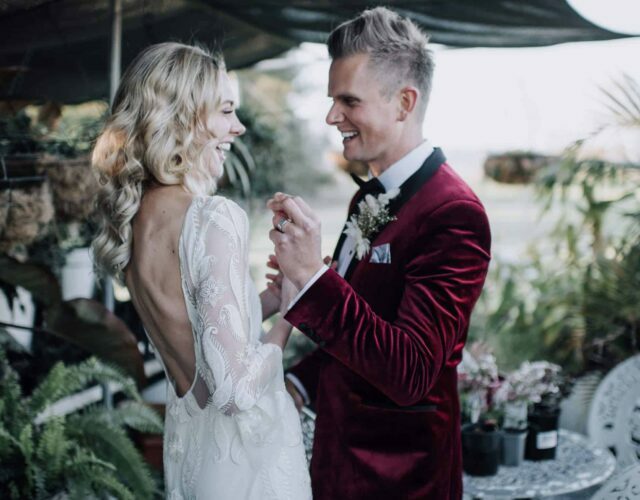 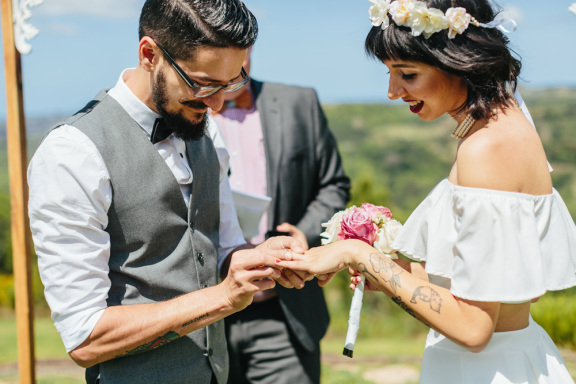 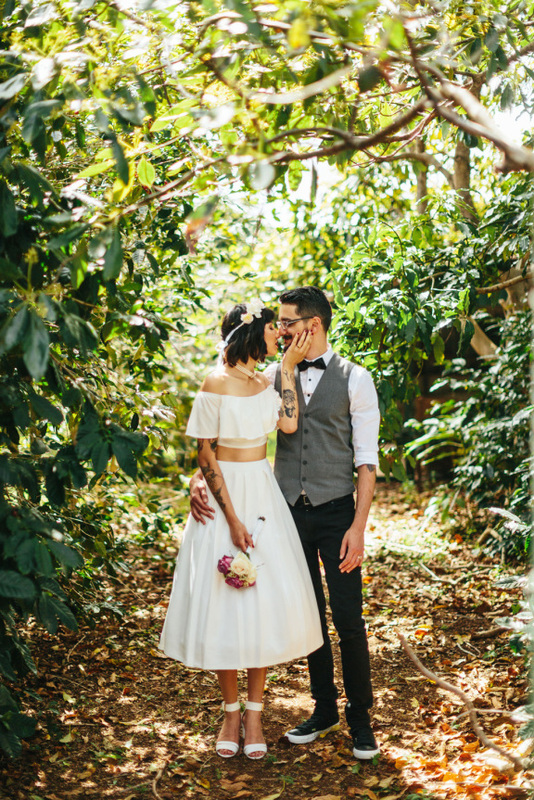 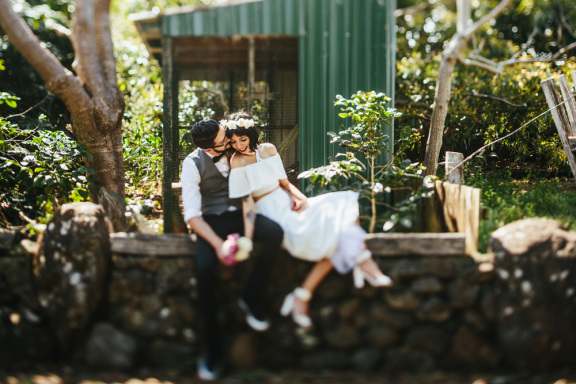 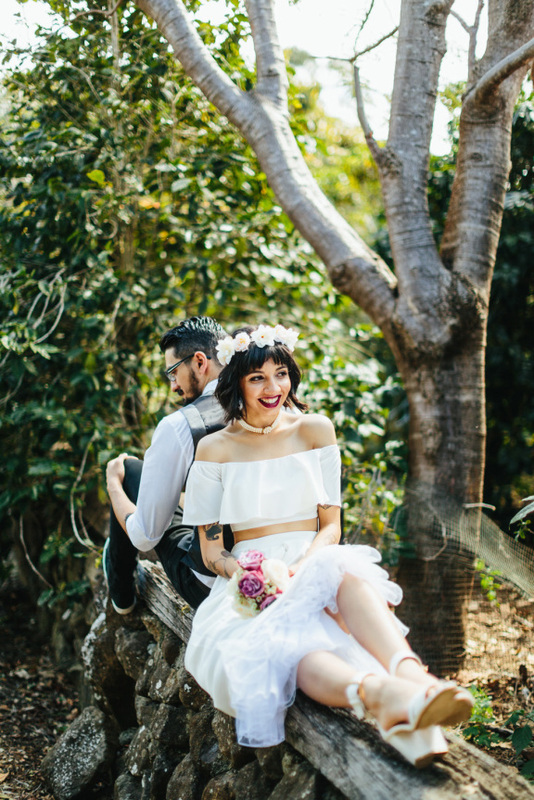 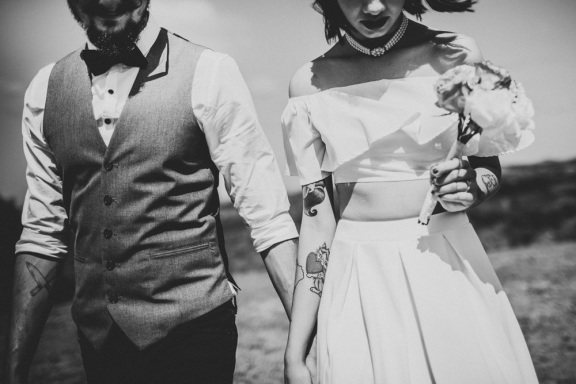 Celebrant Joshua Withers and partner Brittany dreamt up the Pop-Up concept whilst contemplating the stress and expense that often comes with a wedding. 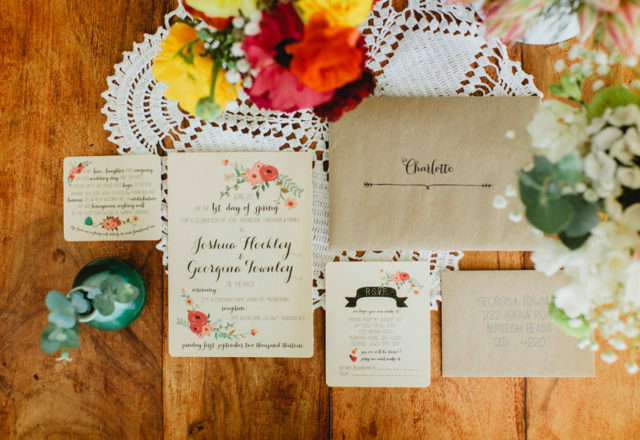 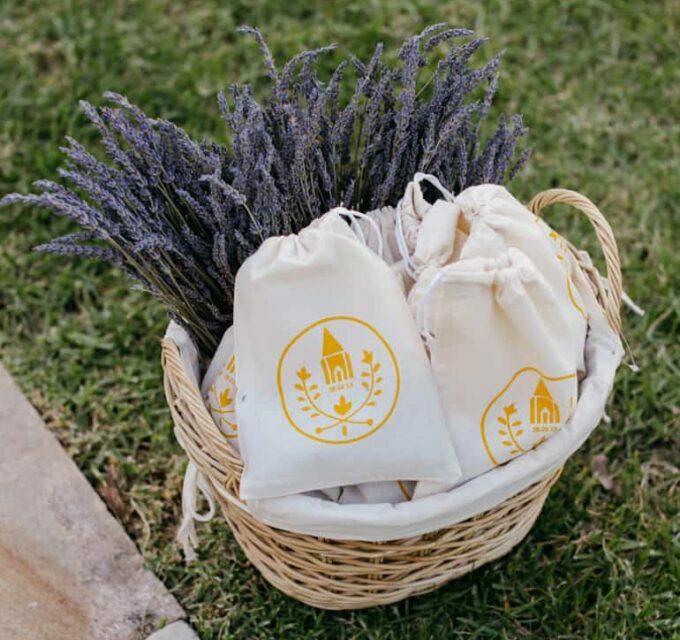 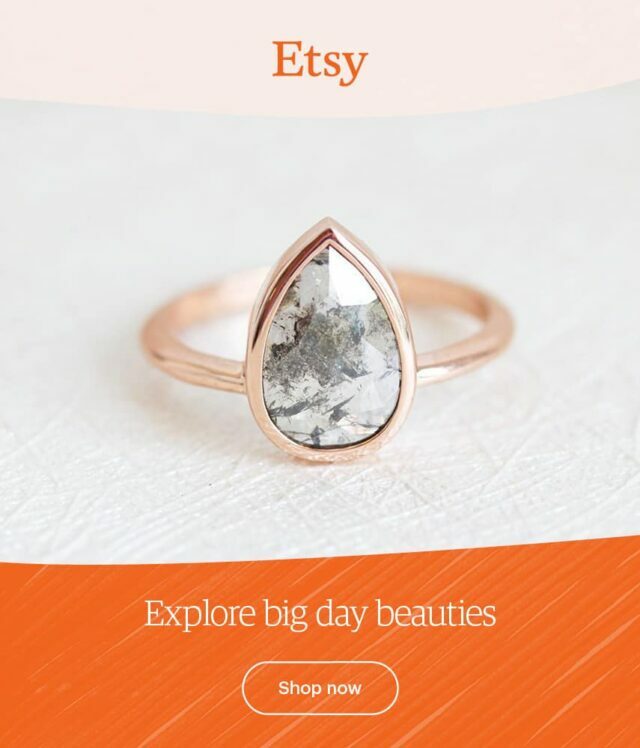 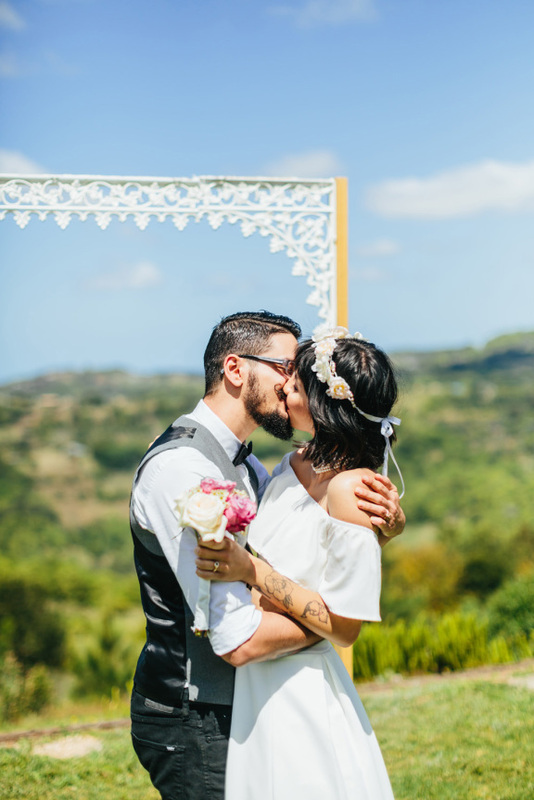 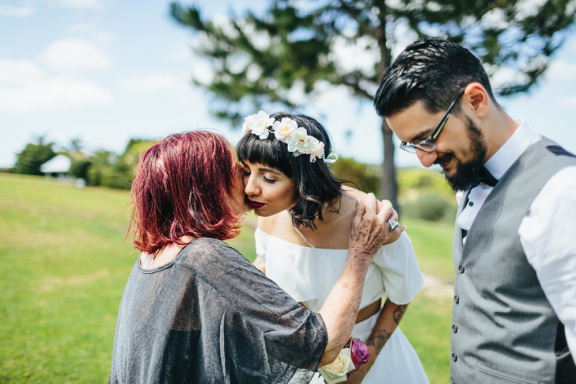 “Wouldn’t it be amazing if a couple could have it all in a ‘fancy elopement’” pondered Brittany, “a beautiful dress, personal vows and amazing photos to show the grandkids!” And with a little help from some talented industry pals, the Pop-Up Wedding was born. 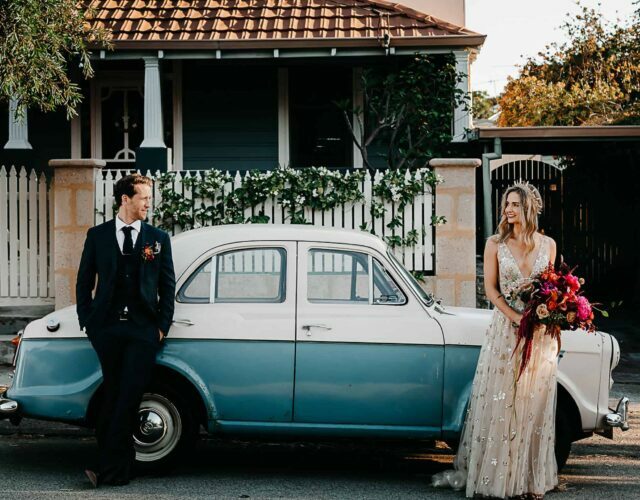 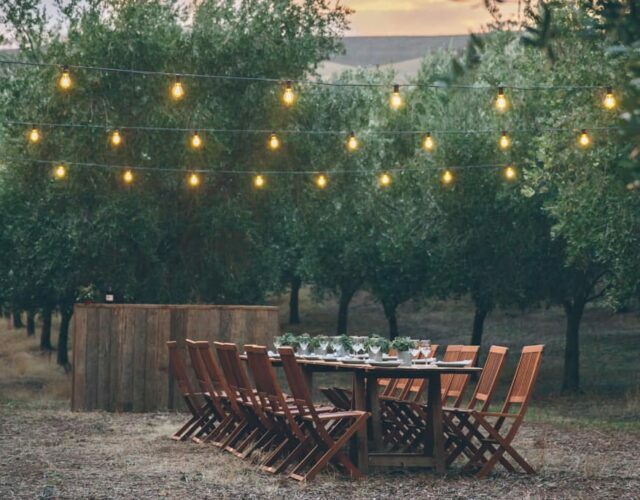 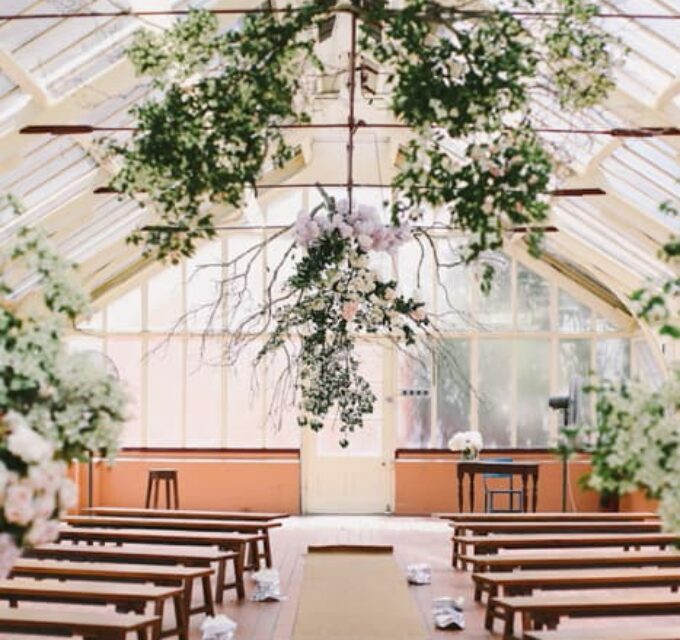 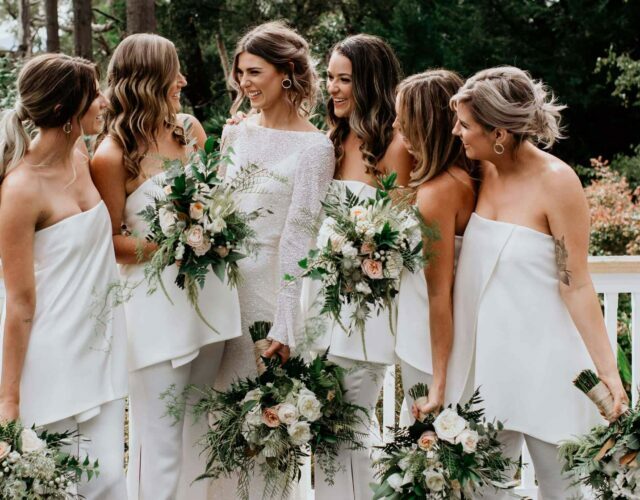 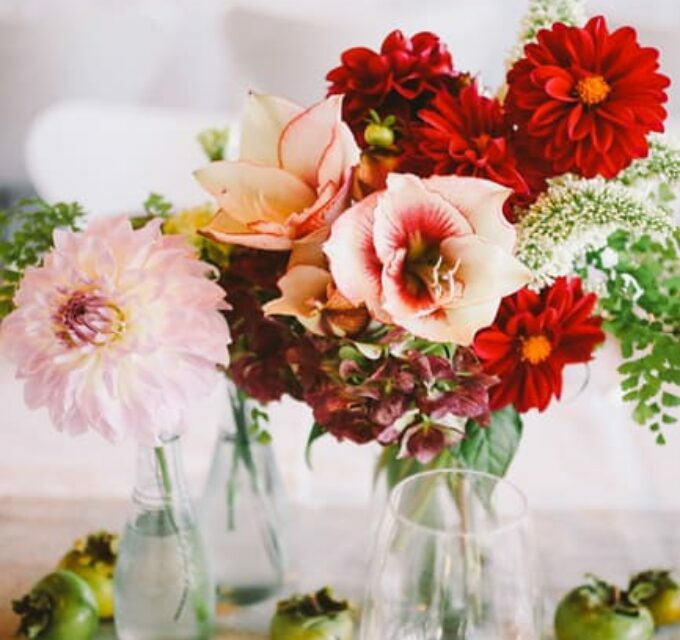 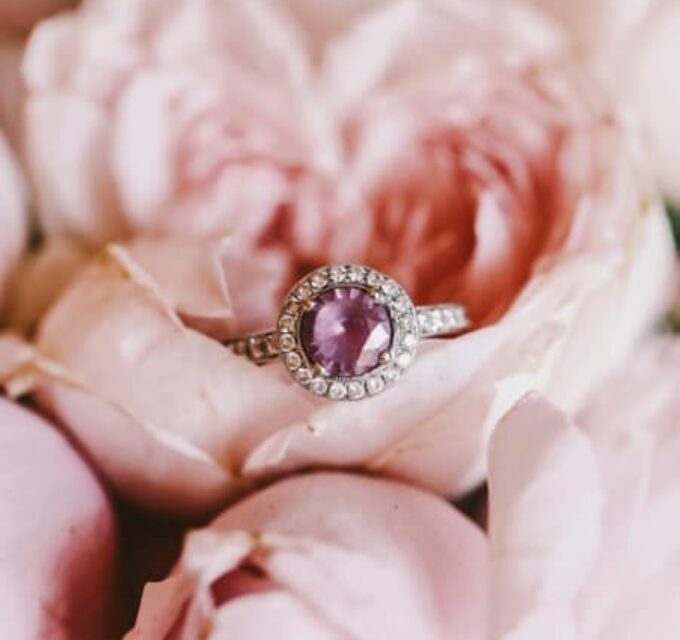 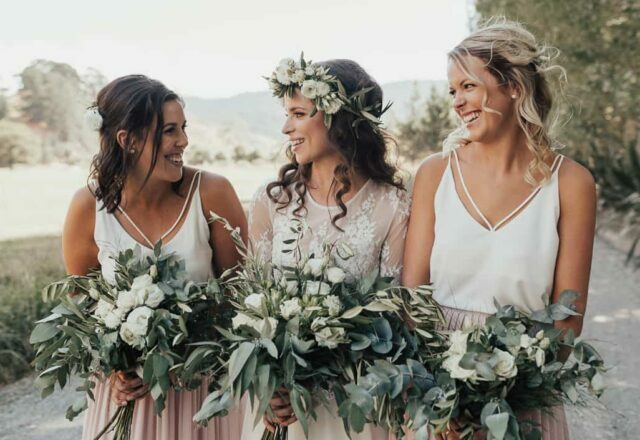 Taking place in carefully selected venues around the country, Pop-Up events are beautifully styled, personal celebrations that allow couples to tie the knot with ease. 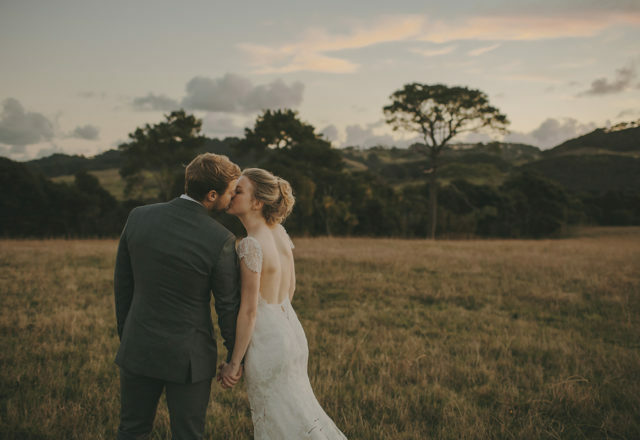 Individual weddings go for about an hour and involve a short ceremony with up to 20 guests, followed by a portrait session with a top photographer – in this case, the brilliant Paul Bamford of Finch & Oak. 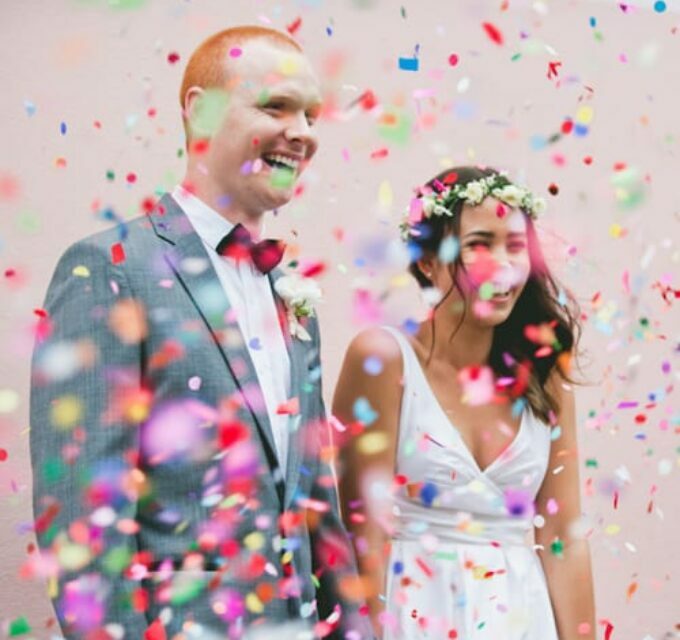 Cake, bubbles and a bouquet of choice to keep are all included too. 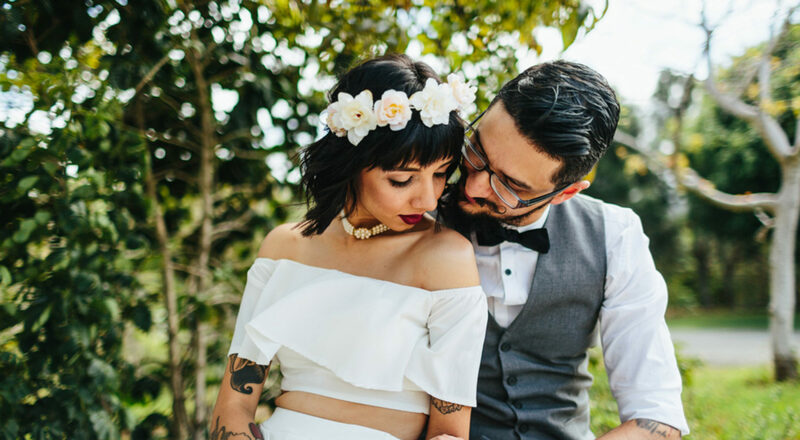 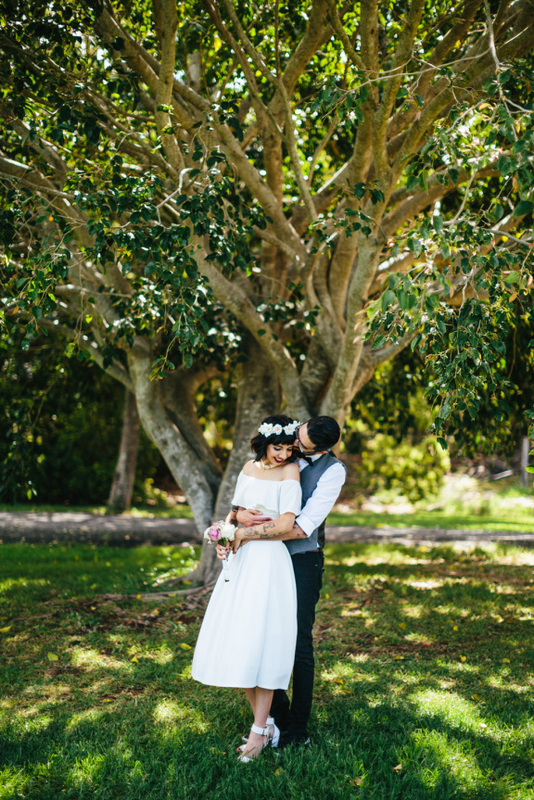 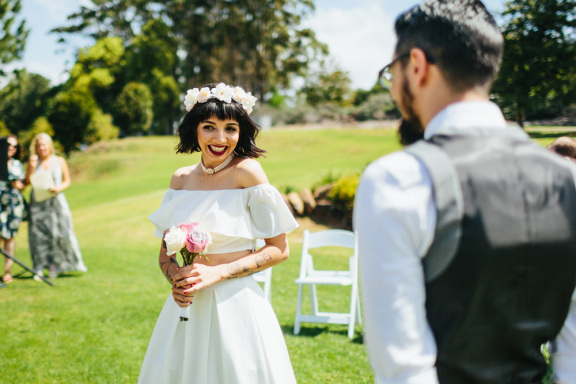 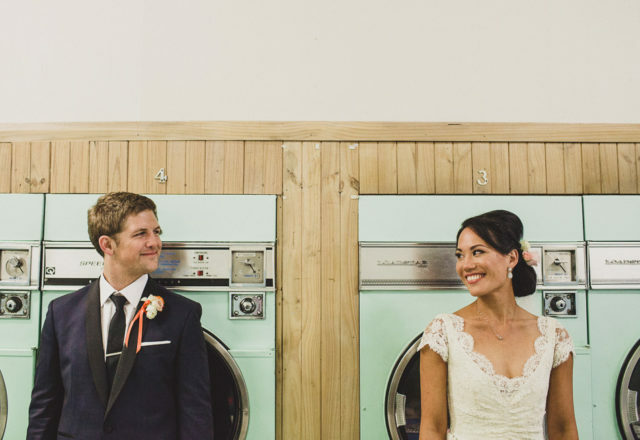 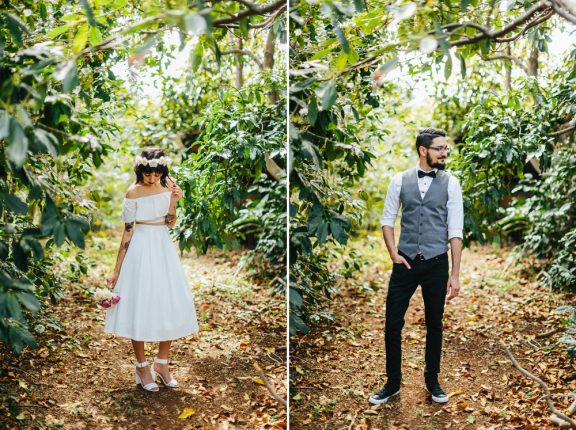 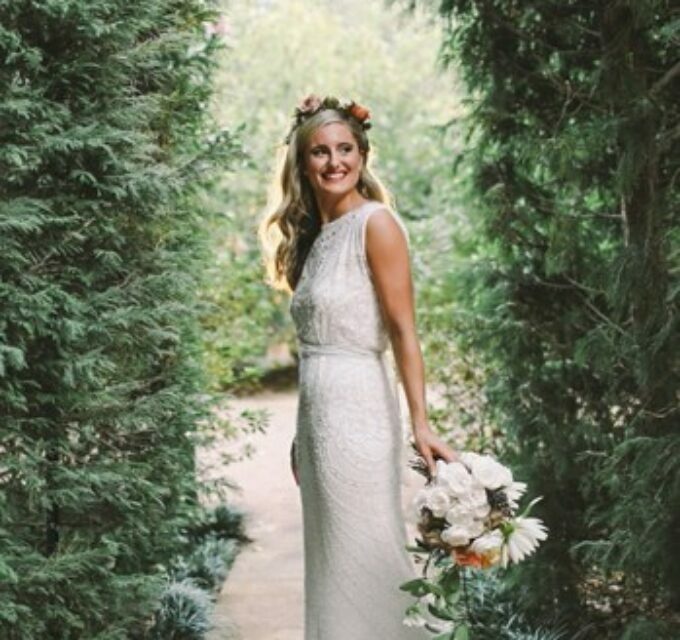 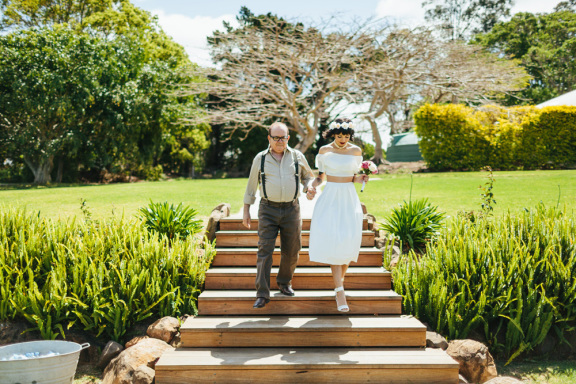 One thing the bride was happy to organise herself was her gorgeous two-piece wedding dress. 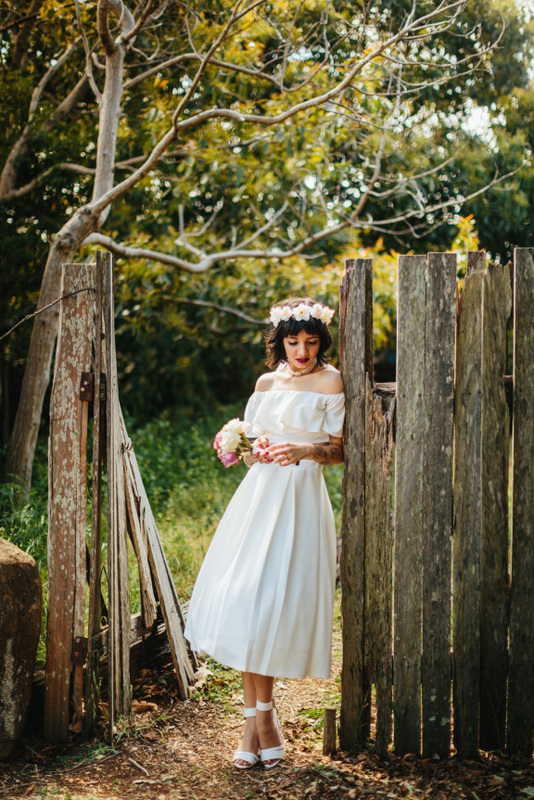 “I put together my outfit after spending hours trawling through Brisbane,” she tells me, and would you believe it only cost $50?! 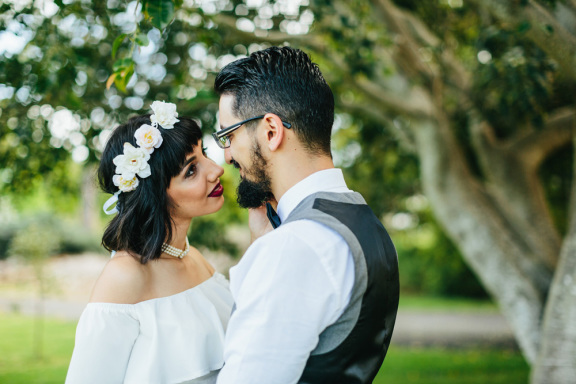 A floral wreath by Raindance Boutique and her late grandmother’s pearl choker completed her sweet look. 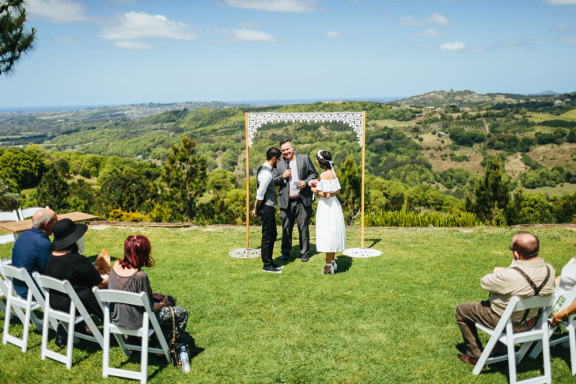 So there we have it – proof that it is possible to have an utterly gorgeous wedding that’s personal, stress-free and won’t break the bank.